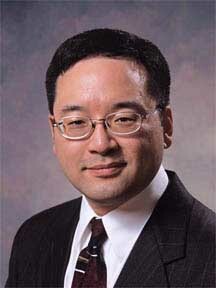 For his creativity, dedication, and leadership, ACM SIGGRAPH recognizes John M. Fujii’s commitment to our community with its 2006 Outstanding Service Award. Since 1986, John has repeatedly shared his enthusiasm with SIGGRAPH in many forms such as conference contributor, organizer, reviewer, facilitator, scribe, mentor, leader, and even cheerleader. His personal values of volunteerism and keen awareness of SIGGRAPH’s needs drove him to help pioneer new roles such as SIGGRAPH’s first SIGGRAPH.org Information Director in 1992 and co-founding the Pathfinder program in 1998. His capacity for organization, management, and strategic thinking has supported invaluable contributions to the conference and organization as they navigated SIGGRAPH through the perilously dynamic economy of the past two decades. John Fujii chaired the first New Orleans SIGGRAPH in 1996 where his attention to detail served us all well. His expert management of conference resources set an unsurpassed record for budget performance. 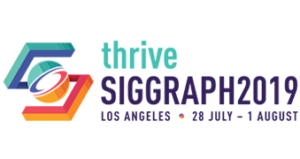 SIGGRAPH 96 enabled many new initiatives, including the Applications program, the “Get Involved” meetings, the exhibition “Startup Park,” a professional conference website, local school outreach programs, new conference planning paradigms, and the first-ever remote presentation of a technical paper. John accomplished this for us through countless hours of personal time and generous (sometimes full-time) support of his employer, Hewlett-Packard. John continues to serve on many SIGGRAPH committees for the conference and organization, providing valuable insight, ideas, wisdom, and fun in their operational management and strategic directions. More recently, based upon his own experience and empathy for the first-time SIGGRAPH conference attendee, John created Pathfinders, a program where experienced SIGGRAPH mentors help ensure that new attendees get the most from their SIGGRAPH experience. He has also mentored hundreds of new students and attendees since 1993 in a variety of fashions, including his writing of “The 5-Minute Career Mentor.” John takes to heart his concern for SIGGRAPH’s role and responsibility in growing the greater graphics community. John considers “the spirit of sharing a collective best is one of SIGGRAPH’s greatest assets and gifts” and is “most proud of the people of SIGGRAPH.” With this award, ACM SIGGRAPH shows its pride in John Fujii and his exemplary contributions to its collective best. John is a graphics software engineer for the Hewlett-Packard Workstation Global Business Unit in Fort Collins, Colorado. He holds a B.S. in Computer Science from Yale University and a M.A. in Computer Graphics and Animation from the Advanced Computing Center for the Arts and Design (ACCAD) at the Ohio State University.